Desi HipHop at its finest. Insignia Rap community presents the sequel to its sucessfull first mixtape. 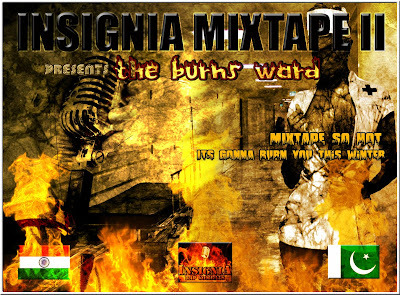 Insignia Mixtape 2 : Burns Ward just gets bigger and better. a Must download for all desi hiphop fans. 3. Dreams : Srik Feat. K.O. 4. Mohali Souljaz : Sikander Feat. H.K. 8. M So Desi : H.K. And Don’t forget to drop in your valuable comments.